Thank you so much to everyone who came out to the Fifth Annual Poppy Walk! We had a wonderful time and raised nearly $30,000 in direct and in-kind support for the Peg Taylor Center, thanks to our amazing sponsors, volunteers, and walkers & runners. You can view the results of the timed run on Under the Sun’s website. We’ll have pictures up very shortly! 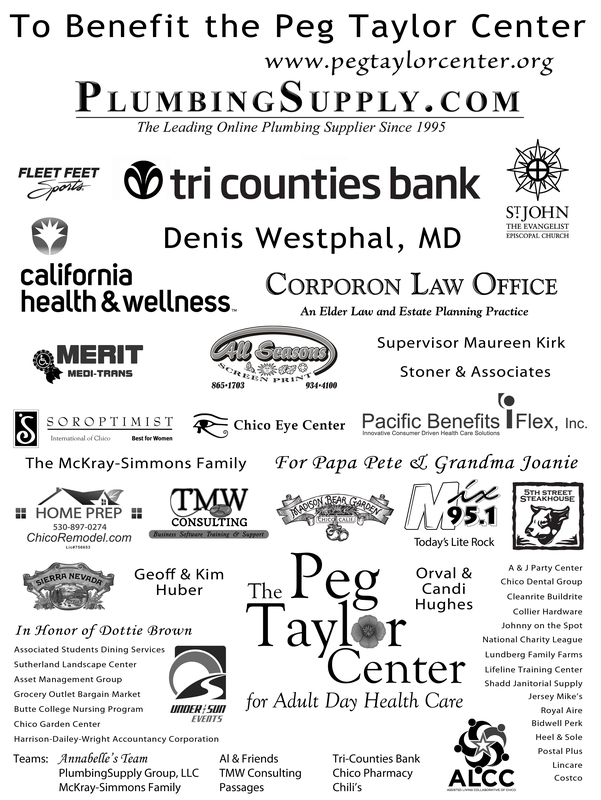 In the meantime, please take a moment to check out all of our wonderful sponsors one more time. And thank you, again, for your support. It means the world to us and all of our Peg Taylor Center participants!